his Circuit converts a voltage control output from a Process Controller to be converted into a Current Control if the AC-Drive or Valve needs a Current Control Signal. This is a three wire voltage to current loop converter. The 1-5 V DC is attenuated and fed to pin 5 LM723 opamp section which tries to maintain the same voltage at pin 10 across the 10 E, thereby producing a open collector constant current sink proportional to the 1-5V input. 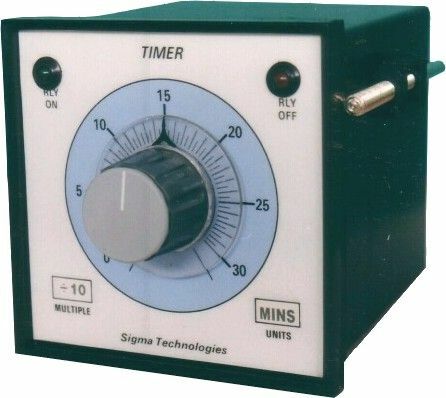 By trimming the attenuator you can scale-calibrate 1-5V input to 4-20mA output for looping many instruments in series, like a controller, recorder or PLC. With a supply voltage upto 24V, three instruments can be looped. The connection to pin 6 is required to convert 0-1 input to 4-20mA. 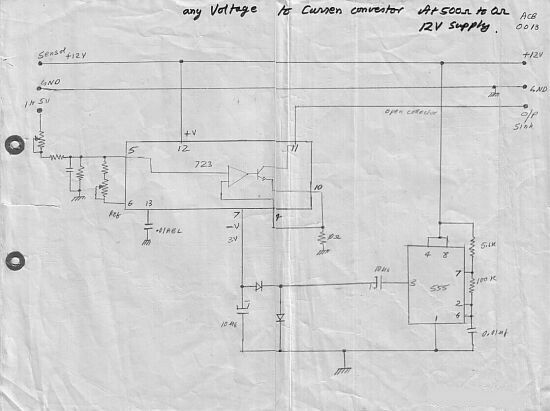 This circuit was designed by me in the eighties, the 555 was for negative supply, The whole thing went into the anodized cast aluminuim head of a sensor.